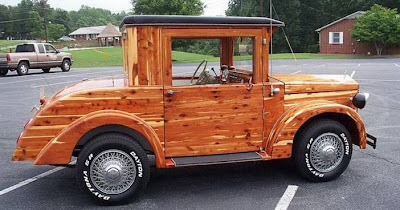 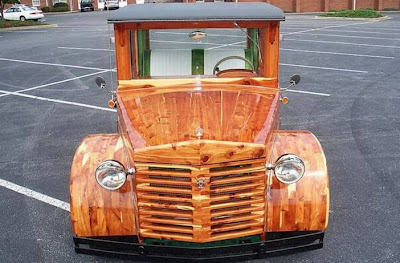 I was e-mailed pictures of this cool custom built wooden car. 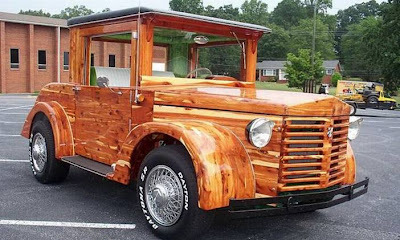 Apparently it rides on a 1986 Toyota truck frame and gets power from a Chrysler 318 engine. 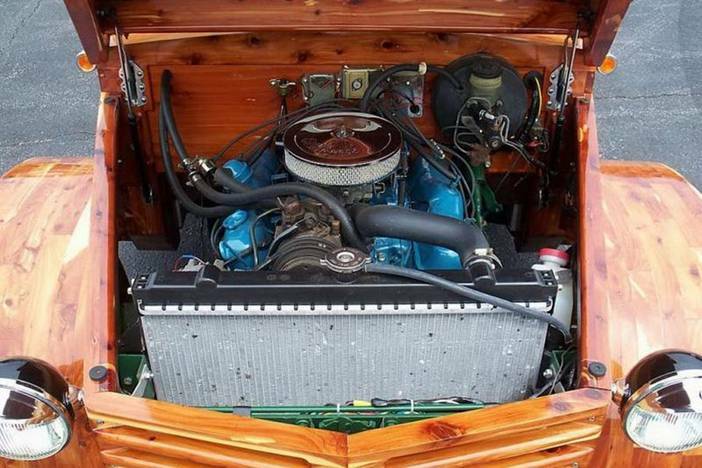 It is driven by an automatic transmission and has just 1,800 miles on its odometer. 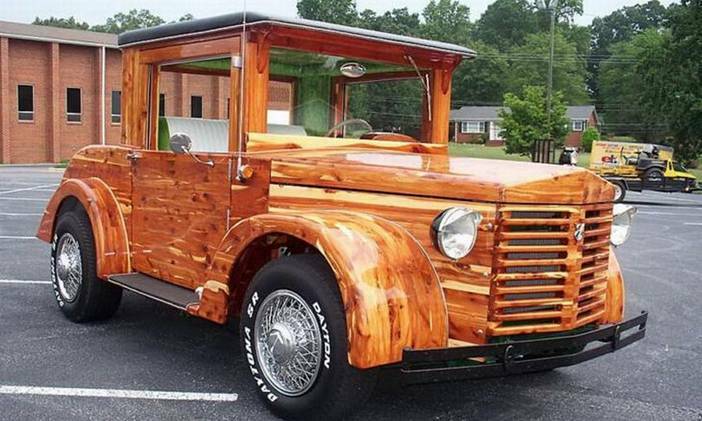 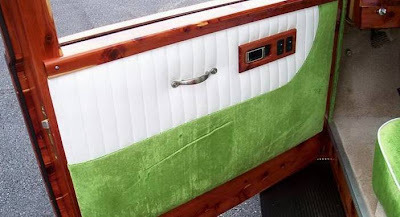 The whole body is made of cedar and its interior is just as cool as the exterior. I couldn't find the original source, but let me know if you find it. Or if there was an engine fire. 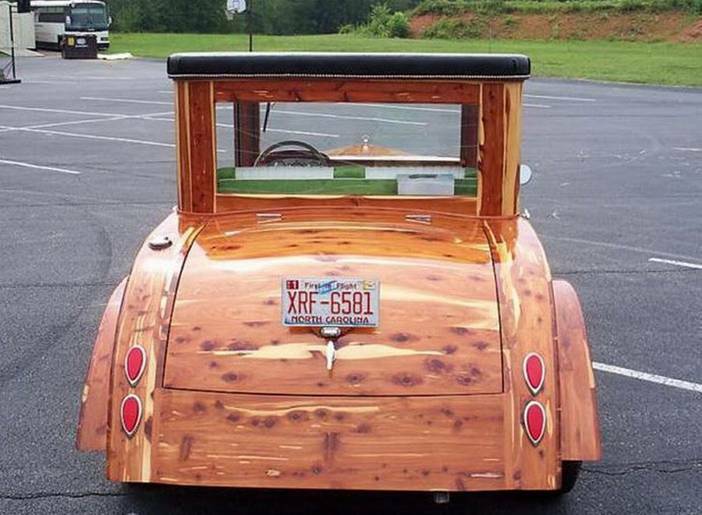 That car is so unique! 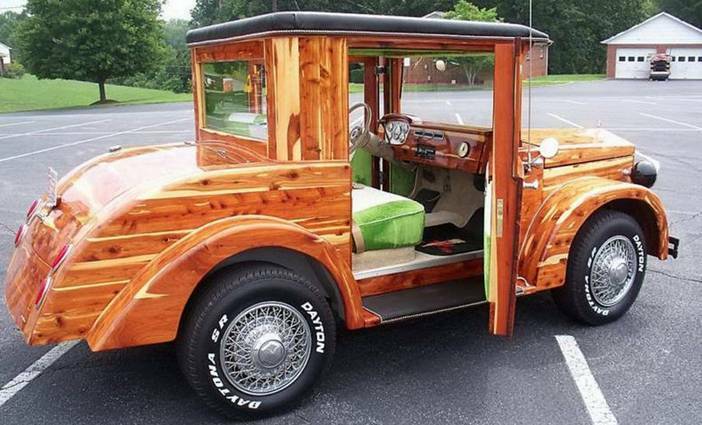 Does it have a working air conditioning unit inside? 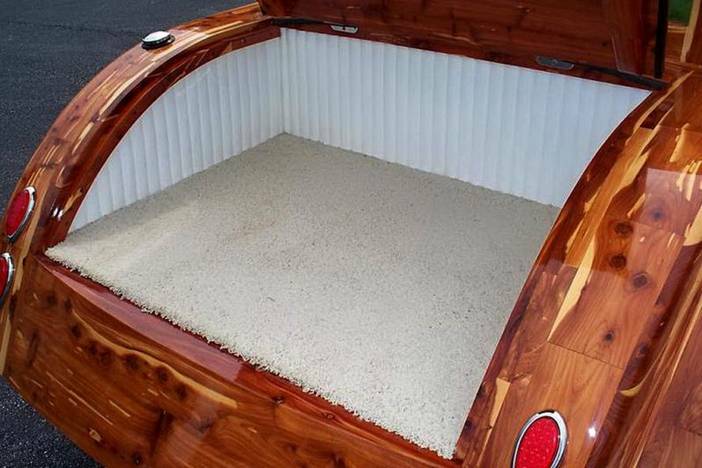 The interior is different, and it makes the car look even more unusual. 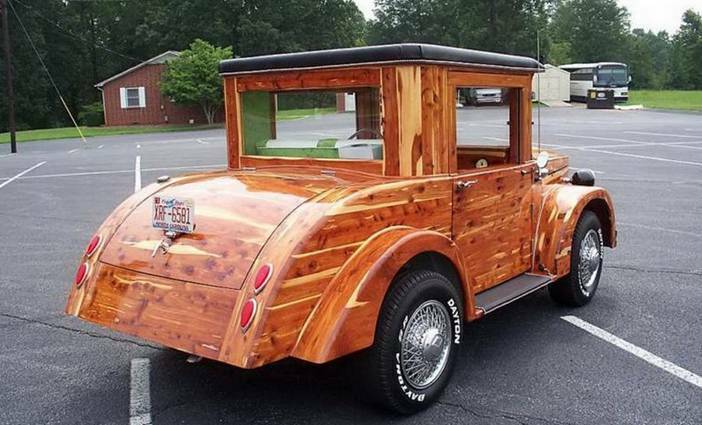 Although the car looks vintage, it looks like it can still run normally. 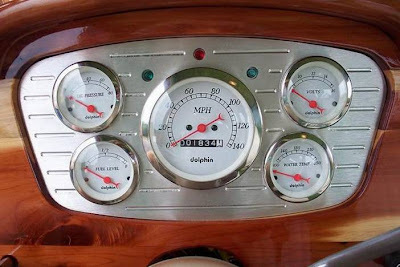 Gee whiz - this car has the same engine as my 1978 Dodge van had...I wonder if the MPG is impressive because of the lower weight you would expect with wood.